Very solid and comfortable for me and my little one! Very solid and comfortable for me and my little one! 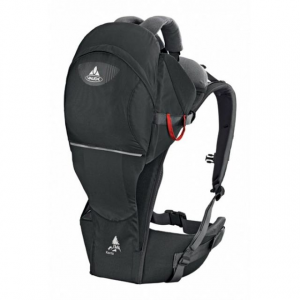 Super adjustable to get the right fit, and plenty of storage space. 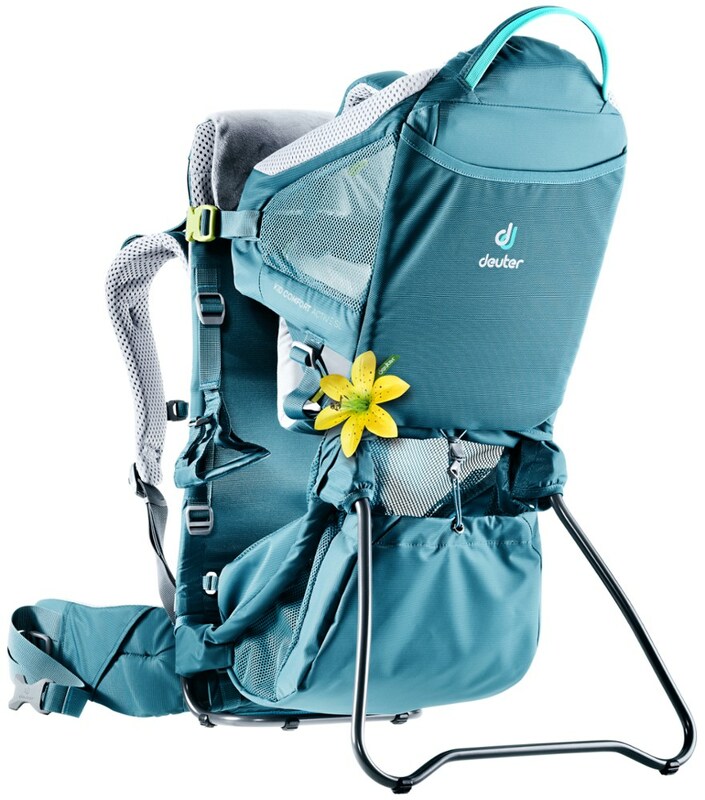 This is a really solid all-around child carrier. My toddler has really taken to this ride, and enjoys being on the trail. So much so that regular naps are not uncommon when she needs to in the pack. I'm a taller guy (6'5") and I had seen somewhere that there may be challenges, but this still has a really good fit. There is an adjust for varying sizes, and accomdates me well. 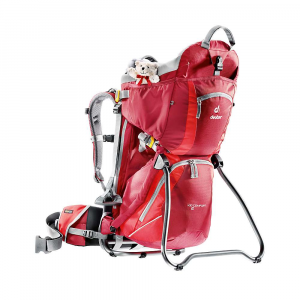 This pack has a very stable feel when putting the child in, lifting up, and also putting down. Minimal wobble. There are plenty of pockets for storage, and come in all sizes. Some pockets the older a ones can probably get to themselves without assistance (on the side, without zippers). The hydration area works well, and can hold a larger resovoir; but it is a little clunky getting it in and set up (a nit-pick). But the smaller pocket on the hip belt are great for snacks, and it comes w a rear view mirror on the other side that comes in really handy. 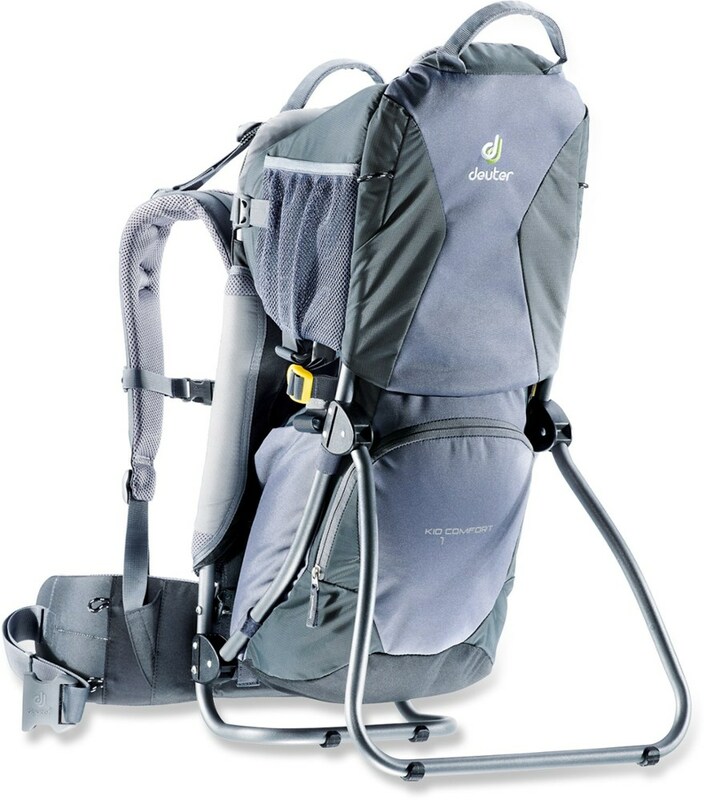 Height of Owner: 6'1" and 5'7"
We were initially hesitant to purchase this pack only because it is relatively new to NA (say compared to the Kelty) and there were not a lot of reviews on it. However, it has been around Europe for a long time and we did manage to access the reviews (in German!). 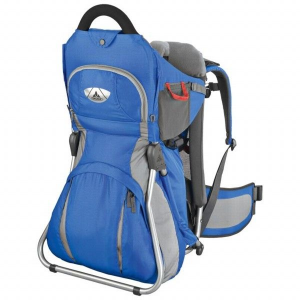 We have yet to take this pack on an extended trip and we will add to this review when we do. So far we've taken short hikes (up to 2.5 hours). Our daughter is unfortunately too small to fit into this pack even though she can hold herself up well (she is currently 4 months old). The straps just remain too loose on her. The manufacturer recommends the child be able to sit on their own before using this product. Our daughter should probably fit in another month or so. We have been hiking with another child in it -- who is 3 years old. We found it very comfortable even on uneven terrain/off trail (for example rock hopping through streams). The child loved it and had no complaints (she definitely would have complained if she would have had to hike the mountain herself!). Adjustments are easy and there is a great compartment under the seat. We love the sun shield that is built in -- it can fold right out of the way if needed, but does not obscure the child's view even when fully up. We also have the rain cover which is great when the weather demands more protection. The child still has a reasonable view with the rain cover on. 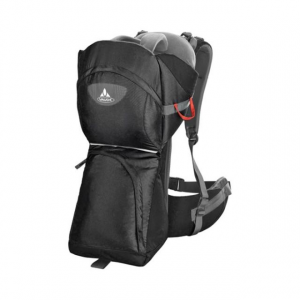 The pack is well built and the weight is very reasonable for the amount of support the pack gives. 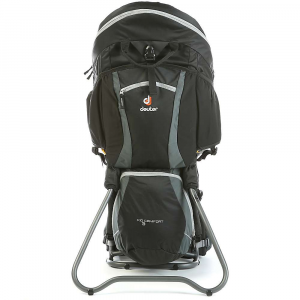 We got this carrier for an amazing price ($222 Canadian at Mountain Equipment Coop) which is in fact cheaper than what we could find for this pack on the web in North America or in Europe! We plan on taking more extensive trips and hikes soon especially when we can put our own daughter into it!